Previous estimates of geothermal energy potential in Canada give an indication of available heat to be ‘farmed’ at depth. This article examines in more detail depth–temperature relationships near large population centers in western Canada, as well as remote communities in northern Canada, in order to provide a first order assessment of Enhanced Geothermal Systems (EGS) potential for electrical generation. Quantities of EGS thermal power output and electrical generation are dependent on output temperature and flow rate. We relate these potential power rates as a whole to drilling and installation cost for the doublet systems and triplet system. Results show areas with significant EGS potential in northern Alberta, northeastern British Columbia, and southern Northwest Territories related to high heat flow and thermal blanketing of thick sedimentary cover. Estimated installation costs in 2008 dollars are under 2 mln$/MWe. We also estimate significant reductions in CO2 emissions by conversion to geothermal electric production. Dr. Michal Moore is thanked for introducing us to the EGS theme. We would like to thank the anonymous reviewers for their helpful comments. We would like to thank Dr. Alan Jessop for his valuable comments and numerous improvements in the text. Geological Survey of Canada Contribution. Blackwell, D. D., 2007, Geothermal resource base assessment, in Future of Geothermal Energy—Impact of Enhanced Geothermal Systems (EGS) on the United States in the 21st Century. An Assessment by an MIT Led Interdisciplinary Panel. http://www1.eere.energy.gov/geothermal/egs_technology.html. Blackwell, D. D., and Richards, M., eds., 2004, Heat flow map of North America. http://www.smu.edu/geothermal/2004NAMap/2004NAmap.htm. BP Report (2009) The path to grid parity. http://www.bp.com/popupimage.do?img_path=liveassets/bp_internet/globalbp/globalbp_uk_english/reports_and_publications/frontiers/STAGING/local_assets/images/fr19solar_parity570x417.jpg%20&alt_tag=Graphic%20about%20grid%20parity,%20when%20the%20cost%20of%20solar%20energy%20equals%20that%20of%20grid%20electricity. Majorowicz, J. 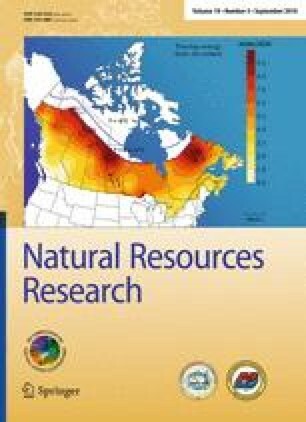 A., Grasby, S., and Skinner, W., 2009, Estimation of shallow geothermal energy resource in Canada—heat gain and heat sink: Nat. Resour. Res., Springer. doi: 10.1007/s11053-009-9090-4. Majorowicz, J. A., and Moore, M., 2008, Enhanced Geothermal Systems (EGS) potential in the Alberta Basin. http://www.ucalgary.ca/~wenet/Geothermal%20Report/ISEEE%20Research%20Report_Moore-geothermal.pdf.